A friendly and open approach awaits companies who turn to Brandon Cross for scoping out their business software requirements. This is consistent with all of the work we do with clients in the private sector as well as for charities who require expertise to ensure that their current systems are fit for current and future needs. In terms of our approach to consulting, we prefer a transparent method which involves our clients at every stage. That way, we believe that you can proceed with confidence that the solutions on offer are the most cost-effective ones for your organisation. The team at Brandon Cross has all the experience you might need to fully scope out your requirements from business software. We look into every aspect of what you are currently using and where efficiencies in working practices can be found. The consultancy services we offer are second-to-none and include many custom solutions for particular problems. As well as our analysis of your current needs, the scoping exercises we perform allow us to provide valuable insights into what your requirements may be down the line. By future proofing your software in this way, you can ensure your IT systems allow your business to remain competitive for years to come. Our services include overseeing pilot implementations of new software and helping you identify alternatives to your current software packages. Of course, help at the implementation stage of any recommended changes is also provided in full. 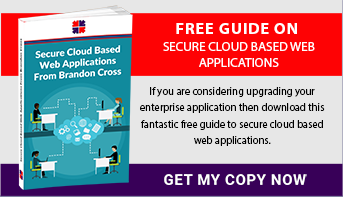 If you are seeking more knowledge about the kind of solutions that might improve your internal workflows and customer service software following a business requirements analysis report, then download our free Secure Cloud Based Web Applications Guide. This will inform you of the types of modern software that can be developed to suit your business needs while still maintaining the desired level of information security. You can also call us for a chat. We are always happy to talk about how a scoping exercise will help you to work out what your real requirements are before putting forward suggested solutions.